Athens, home of great artists and philosophers, seems another of the greatest cities of visible history per excellence to me. No excuses to miss this one of course. Being such a lover of Rome, there is no wonder Athens has been on my bucket list for long. This is the perfect place for those of you who want to feel they are back in time to Grecian times and be surrounded by the magic of those great huge temples the people built for the Gods. Here lie more than 3000 years of history, with many stories surrounding politics, culture and western society in general. Meaning the "upper town", this is the most important place in Athens, and it is located in a strategic area from which you can see the entire city at your feet. Although signs of battles and time are present, some parts have been restored, and many ruins can be seen so you can take yourself back to Grecian times. The Acropolis consists of several buildings, probably the most known when it comes to Ancient Greece: Parthenon, Erecteion, Temple of Atenea Niké, and Prolipeos, for example. The Parthenon is the main building and the one standing out the most. Built between 477 and 432 bC, this Doric building was firstly built to keep a wooden and marble sculpture inside (Athenea Parthenos). Prolipeos (built between 437 and 432 bC) was the main entrance of the Acropolis. A rectangle building made up of Doric columns giving rise to five main entrances with different functions. Erecteion is a jonic temple where Athena put the first olive tree as a gift to the gods. Its gorgeous area is the southern gallery, which shows the Cariatides, six female statues standing and which can be also seen in the museum (the originals actually). The Temple of Athenea is another great one, though not much is still standing. This one was built to honor the goddess and symbolize victory. If you only got one day to visit the city I suggest you spend it visiting the Acropolis, one of the most important places in Greece. I warn you not to expect super preserved buildings like in Rome: here everything looks less than people expect, since the passing of the centuries, weather, wars, etc. had a real impact on the finest works of the ancient Greeks, sadly. But just being there and feeling you are stepping on the same floor these gorgeous people built... that is magical and a must! PRICE: combo 30€; student combo 15€: Acropolis, Roman Agora, Ancient Agora, Dionisos Theatre, Kerameikos, Temple of Zeus and Hadrian Library. 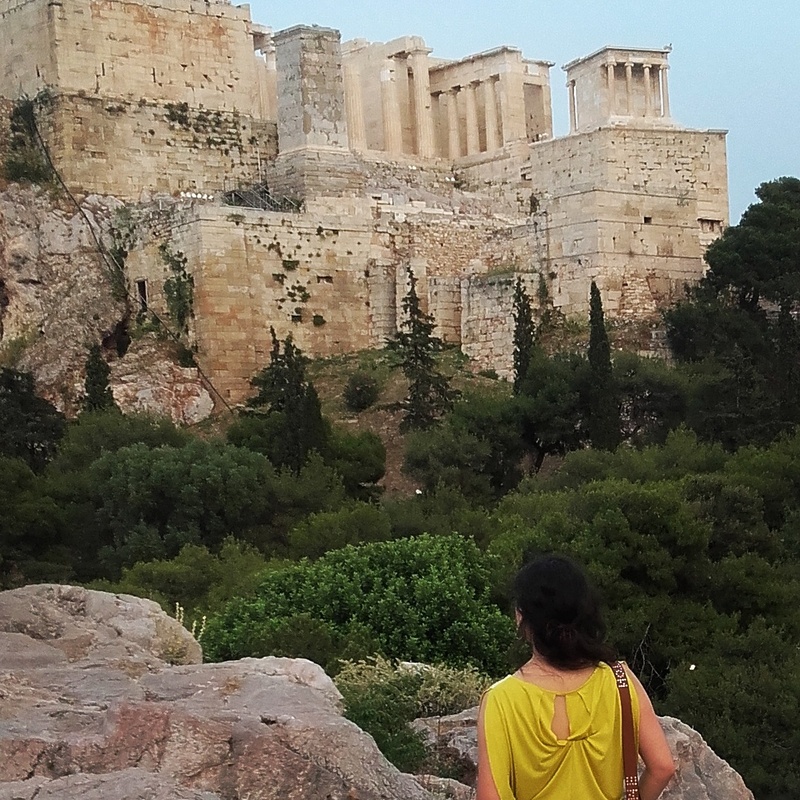 Going to Athens is a 2x1: you go to Greece and you go back in time!